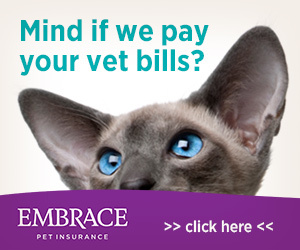 Pet insurance is becoming more well known and more and more people are signing up for it. The way pet insurance works is you pay your invoice at the time services are rendered, then you submit your claim form and invoice and the insurance company reimburses you directly. They do require pet health records and we are happy to fax or e-mail those to the insurance company of your choice, with your permission of course. 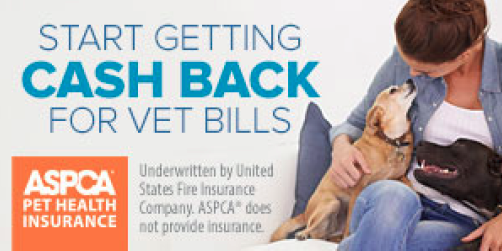 Here at Crossroads Animal Hospital, we have found that Embrace Pet Insurance and ASPCA Pet Insurance are two insurance companies that our clients are happy with and we have decided to affiliate with them. Click on the links below to get your free quotes. If you decide to sign up, give us a call so we can get your permission to release medical records. If you are looking for a non-biased comparison of the pet insurance companies that are available, click here.